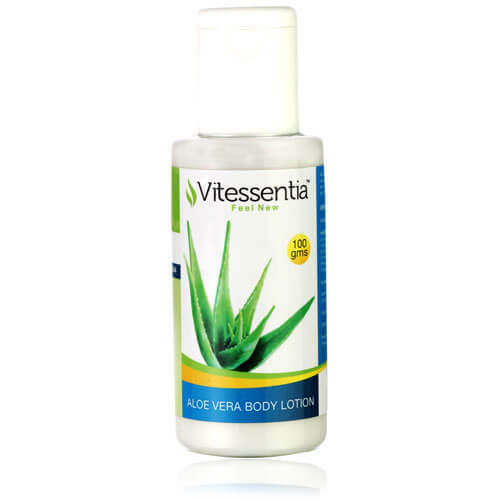 Vitessentia Aloe Vera body lotion contains high content of Aloe Vera that protects the skin from harmful UV rays of the sun and moisturises it. The Cold Processed Aloe Vera Body Lotion is completely natural and is free from alcohol based ingredients. Its low oil base makes it suitable for all skin types. It is a non-irritant too. The lotion is packed in an easy to use spray bottle.